In this century, we are totally bound to technology which makes us much lazier. No doubt this laziness is affecting our health badly. On the other everyone wants to look smart and handsome. You want the same? Well everyone wants. You can get the desired body shape, but you must have to become a little bit harder. Add some physical activity in your daily routine. Here are some tips for you related to exercise. If you have extra fats on your body is such case just morning walk is not enough you have to harder in your exercise. During jogging make some sprint after every short interval of time. Make sure, which exercise you are doing is not painful. Just warming and pumping of muscles is the purpose of the exercise. Don’t make it punishment to yourself. In such a case you will get upset about it. You have to change your body in better means. Simply make an exercising plan and follow that. Before start jogging, walk to make warmer your muscles. Then stretch your body muscles i.e. Hands, legs, back etc. After jogging, do some push and pull-ups. As we mentioned above that don’t make your exercise punishment to yourself. Make it easy exercise, 30-40 minutes are enough for exercise. But you have to be consistent. Basically, exercise is the joyful activity which we had made hurdle to our self. ü If you exercise in the evening, consider biking or walking to work in the morning. ü If you work out in the morning, add a brisk evening walk to your schedule. Instead to be on diet having healthy food in much better and beneficial. The first rule of having a healthy diet is avoiding junk food. We know the reason for overweight but still, eat a lot and have a poor habit of eating junk food. Make a proper routine of having a meal. Keep the difference of 4-6 hours between meals. Drink more water as a healthy body required at least 8 glass per day. Chew more slowly and well. Chewing slowly grinds well whatever you eat. This makes the digestive process easy and smooth. Try to have such food those have positive effects on the digestive system like green beans, Broccolis etc. it really matters. Stay away from sweet and oily things. The best way of diet plan is to have such a meal which has fewer calories and at the same time increase your physical activity. You’ll see a prominent result within weeks. No doubt dieting plan works but if we stay constant on it. But having a healthy diet instead will be a good idea. Dieting not only makes you smarter but also physically weak. Because you are not gaining enough proteins and vitamin which our body needs. 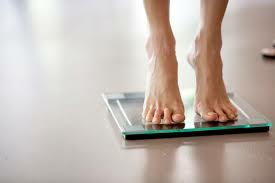 Another biggest problem is weight loss through dieting is a long term process. Instead of going on diet have healthier food and stay happier and fitter as well. Helena parker is a Professional Blogger and Writer. She loves to write about Health and Weight Loss. She has written numerous articles and blog posts on topics related to Health, Food, Fitness. Muscle Booster And Skin Care etc.